On a hot day, nobody likes to drink warm water that sat in the car too long. Conversely, nothing is worse during winter than a cold cup of “hot” chocolate. 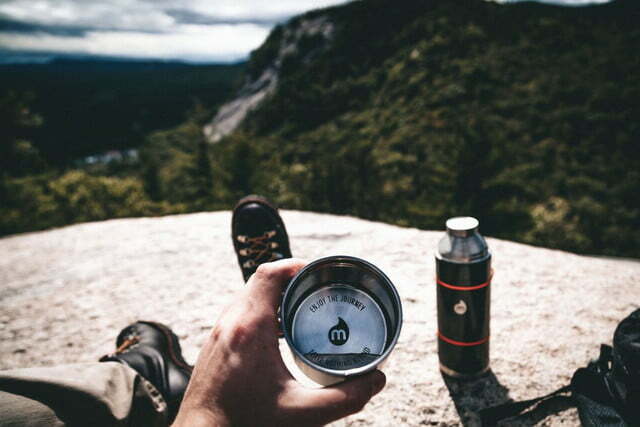 With the Mizu V10 thermos, drinks are designed to remain the right temperature longer. Mizu has been around the block before when it comes to insulated thermoses, but the V10 brings further innovation. 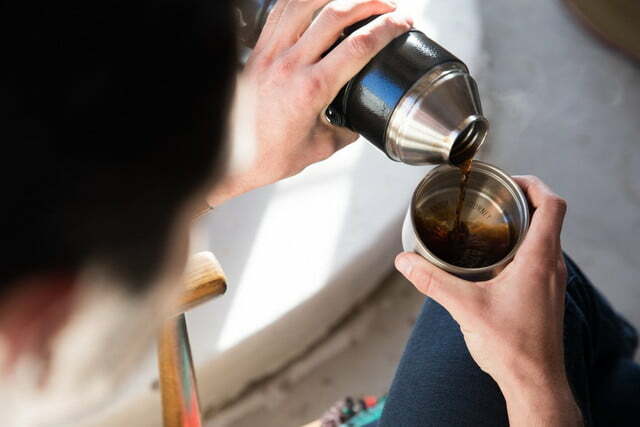 Like most modern thermoses, it features a double-wall design to prevent the outside temperature from affecting the contents inside. The biggest addition is a copper lining around the inner wall. which Mizu says allows beverages to keep their temperature for longer. 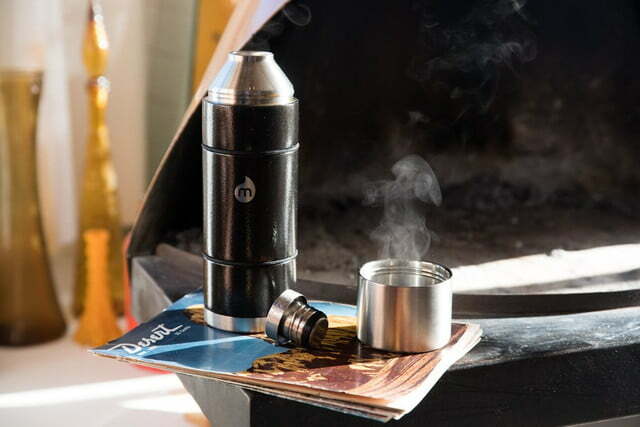 Additionally, a patent-pending vacuum-sealed cap prevents the heat from escaping out the top. Combined, these two aspects provide up to 20 percent greater thermal retention from the competition. Hot drinks stay hot for 12 hours while cold drinks stay cold up to 24 hours. Aside from the copper lining, the V10 is constructed from 18/8 food-grade stainless steel. This is the same kind typically found in commercial kitchens. It is meant to be durable, easy to clean, corrosion resistant, and give off no metal taste. Mizu uses highly recycled metal, and it won’t leach any chemicals like some plastic bottles will. For easy carrying or fastening, the Mizu V10 includes a durable, self-cinching rope handle. Mizu was founded by Olympic snowboarder Jussi Oksanen. While filming in Alaska in 2008, Oksanen began searching for a reusable bottle that could take the kind of beating a professional athlete would send its way. After coming up short again and again, he decided to start his own company. 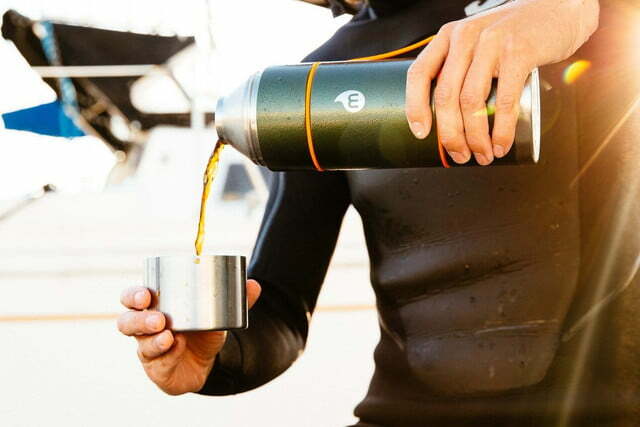 The Mizu V10 thermos is available in limited stock Amazon for just over $53, or directly from Mizu for about $42. 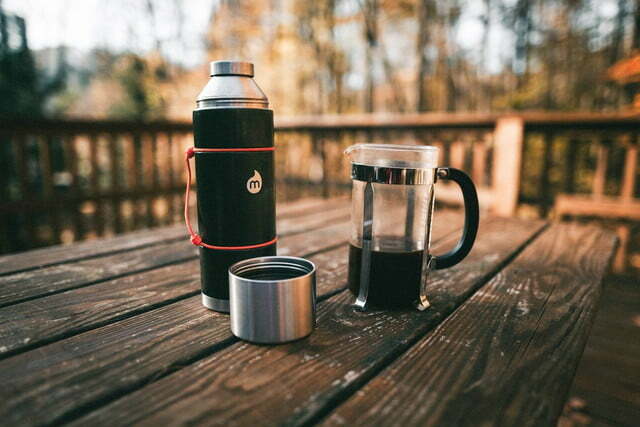 The thermos holds up to 34 ounces of liquid and comes in stainless steel, gray, black, or army green. Except for stainless steel, the color options use hammer paint, a highly durable paint that is designed to withstand an active lifestyle. These days, there is a specialty thermos to fit any need. Using Aerogel, an insulating technology from the space industry, Atlasware has created a bottle that keeps ice water cold for over 30 hours in the Arizona sun. For those who have a hard time remembering to drink enough water, Thermos’ Smart Lid connects with an app to alert users about drinking more water.